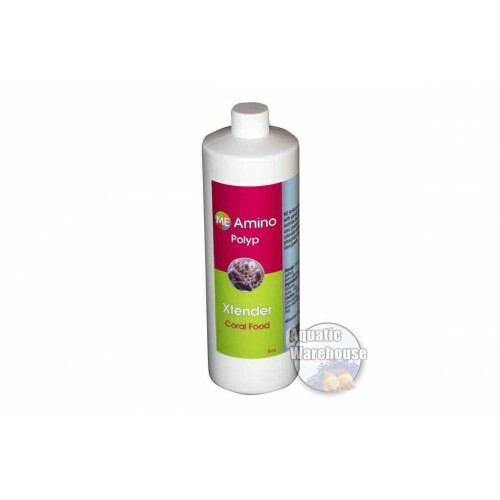 MECoral Polyp Extender Amino 8 oz. Dosage: 5- 6 ml (approx 1 cap) per 100 gallons of system water. Can be used any time of day, but evenings maybe best as we want some in the water for night feeding corals. If you feed your fish or use other coral food in conjunction with Polyp Extender, it is advisable to feed fish 15 minutes after using ME Amino when coral polyps are extended and feeding.